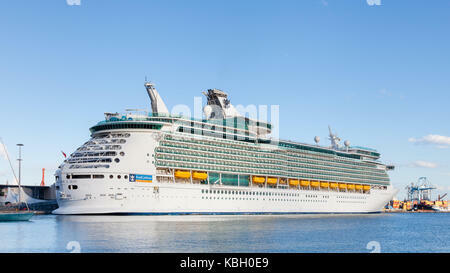 Royal Caribbean cruise ship Navigator of the Seas at anchor in Villefranche in the south of France. 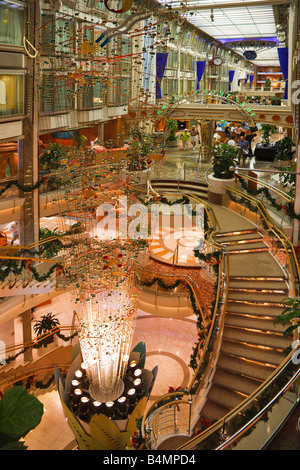 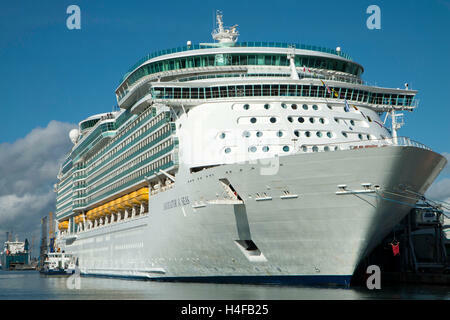 The ship uses tenders to reach the shore here and the port is close to Nice, Cannes and Monte Carlo. 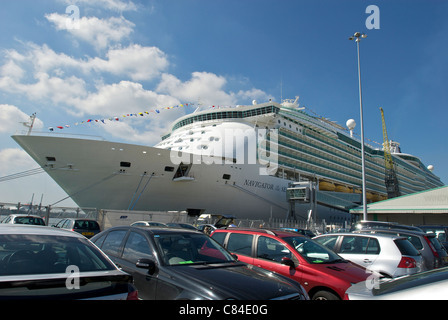 Taken during Grand Prix week 2007. 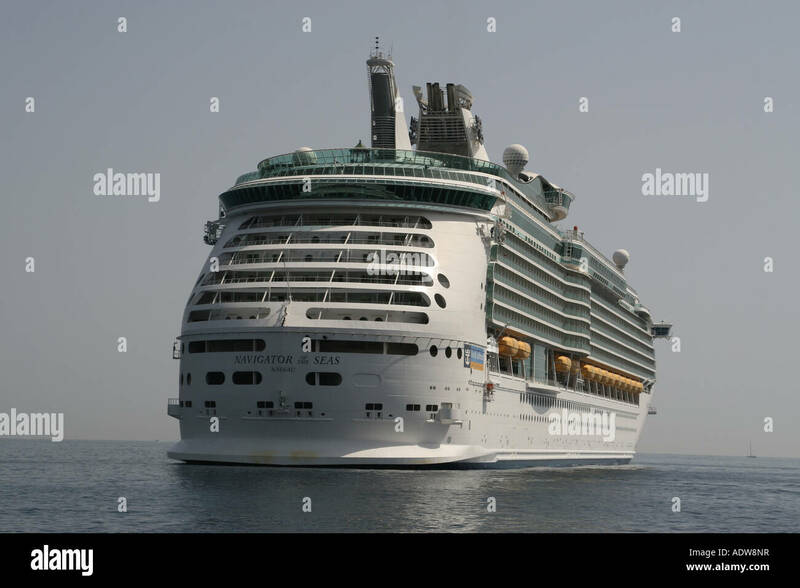 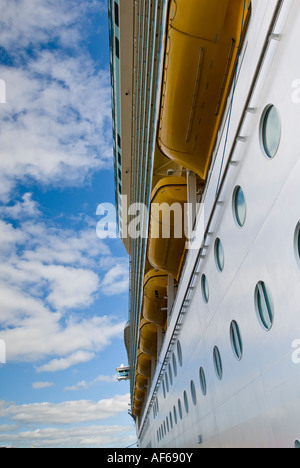 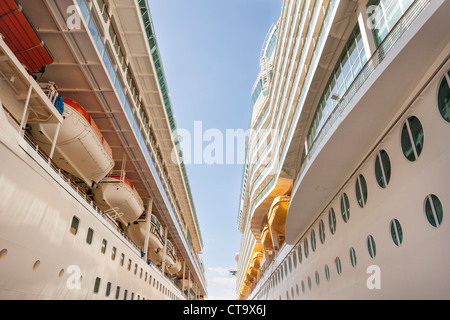 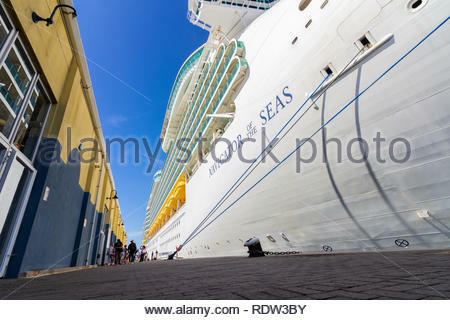 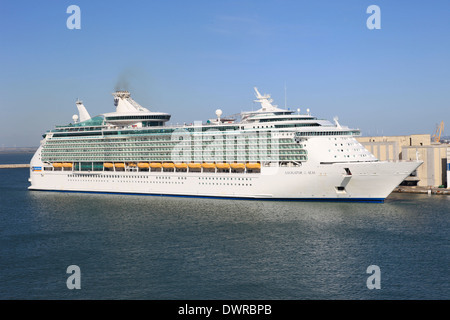 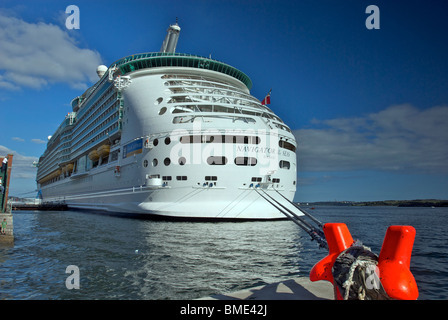 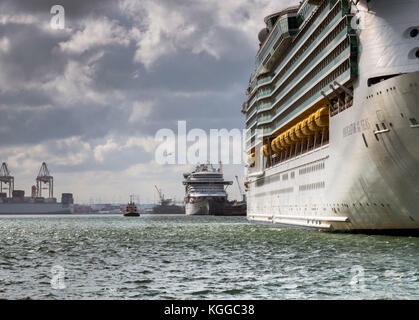 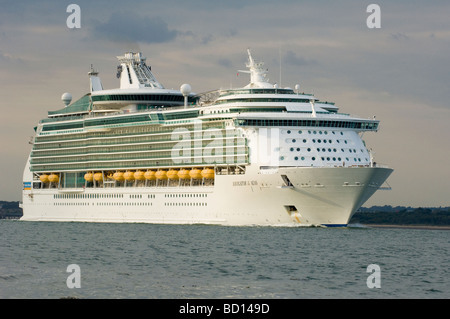 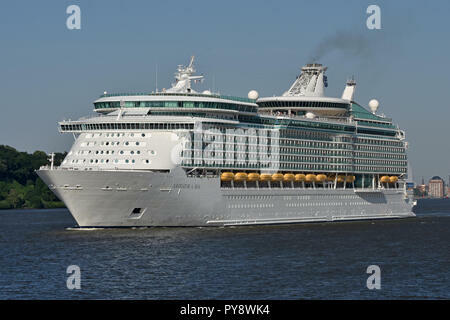 Gibraltar, United Kingdom - May, 15, 2017: Royal Caribbean cruise ship navigator of the seas docked at Gibraltar with tourist getting off to explore.